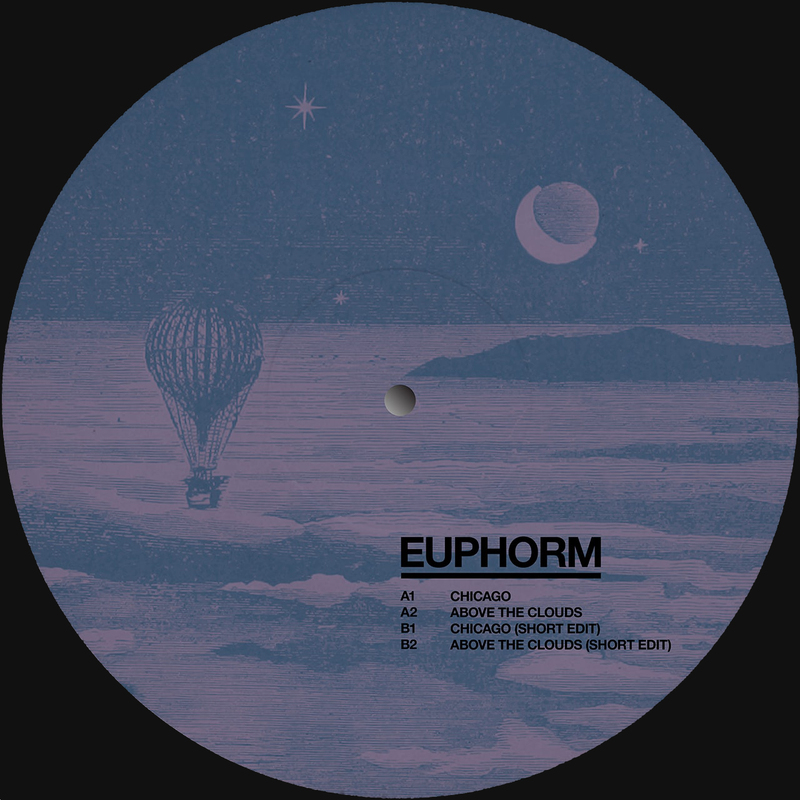 Chicago / Above The Clouds steers away from Euphorm's previous style of experimental ambient and dives deeper into Midwest house and techno. "Chicago" takes you on a cruise through the hazy streets of the Windy City driven by buttery delayed synths, a shimmer-on-the-horizon breakdown, and the ever-present sampling of urban noise. Think driving down Lake Shore Drive on days during our short lived summers. "Above The Clouds" glides above and beyond with a calculated, clean cut take on what happens when dub techno meets minimal house. An immersive yet ritual approach into classic dance music is the imagination behind this cut.